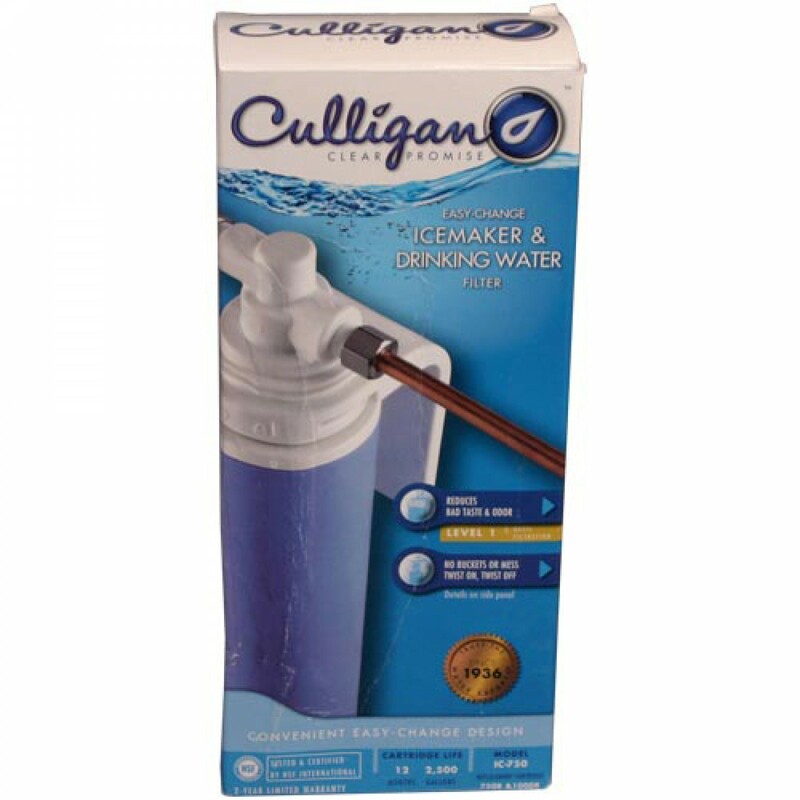 One Culligan 750R refrigerator water filter cartridge included with purchase. To change the 750R inline refrigerator filter cartridge, simply turn arrow from lock to unlocked position. Remove and discard. Then, insert the new Culligan 750R filter cartridge and turn to locked position. You're done! 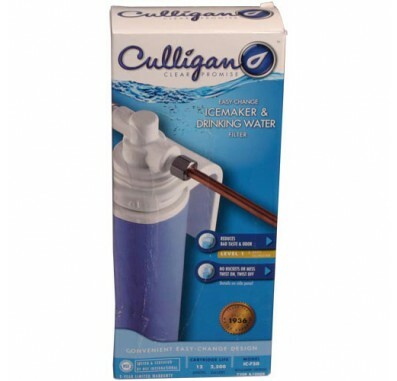 The Culligan 750R inline refrigerator filter life is up to one year or 2500 gallons depending on usage and water quality. The 750R filter cartridge used with this system has a limited service life. Changes in taste, odor, color and/or flow of the water being filtered indicate that the cartridge should be replaced.